The 2013 Nebraska Book Festival, April 5-6 at the University of Nebraska-Omaha Thompson Alumni Center, will feature more than 20 Nebraska authors. Admission is free. Activities begin Friday, April 5, with a 7 p.m. keynote by Kurt Andersen, author of “True Believers” and “Heyday.” Born in Omaha, Andersen graduated from Harvard College, co-founded Spy Magazine, and wrote for The New Yorker, TIME, and The New York Times. The festival continues Saturday at 9 a.m. with three writing workshops. Neil Harrison, Brent Spencer and John Price will offer aspiring poets, novelists and non-fiction writers opportunities to discuss writing and publishing techniques and receive expert feedback. Collective and Young Chicago Authors group. Workshop seating is limited and early arrival is recommended. Advance registration is not available. Readings, book sales and book signings begin at 12:15 p.m., featuring Joy Castro (“Hell or High Water”), Art Homer (“Blind Uncle Night”), Lisa Knopp (“What the River Carries”), Tunette Powell (“The Other Woman”), John Price (“Daddy Long Legs: The Natural Education of a Father”), Todd Robinson (“Note at Heart Rock”), Barbara Schmitz (“Path of Lightning”), and UNO creative non-fiction students Ryan Grandick and Scott Aichinger. Each author will read and discuss their work, allowing time for questions. Selected Letters” before its scheduled release date. Copies will be available on a first come, first served basis. Readings from 3:15 to 5 p.m. include Leo Adam Biga (“Alexander Payne: His Journey in Film”), Ron Hull (“Backstage – Stories from My Life in Public Television”), Barb Malek (“Soft Like Steel”), John Rector (“Lost Things”), Benjamin Vogt (“Afterimage”), Stacey Waite (“Butch Geography”), Don Welch (“Deliberations”), and Fred Zydek (“At the Edge of the Ancient Inland Sea”). contributions to fostering literary tradition in Nebraska. The festival concludes with a reception and 6-8 p.m. semi-final bout of Louder than a Bomb: Omaha Youth Poetry Festival. 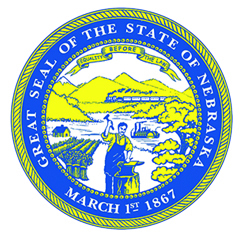 Humanities Nebraska, Nebraska Library Commission, Nebraska Cultural Endowment, and the University of Nebraska at Omaha’s College of Arts and Sciences. workshops, presenter biographies, and other information.